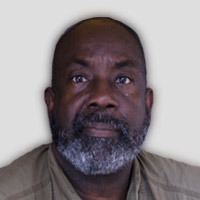 Photojournalist Eli Reed joined the faculty in the School of Journalism at the University of Texas at Austin in January 2005 after a 30-year career that took him around the world for numerous national and international publications. Reed had been with the elite international photojournalists collective, Magnum Photos, since 1983. During his time with Magnum, Reed worked on assignment for such publications as National Geographic, Life, Time, People, Newsweek, The New York Times, The Washington Post, Vogue, Harpers Bazaar, George Magazine, Oggi, London Independent Magazine, Stern, Geo, Sports Illustrated, Vanity Fair, Details, Self, GQ, American Heritage, Kiplinger's Personal Finance, New Look, and Modern Maturity. He has also done freelance work for the Ford and Rockefeller foundations, Save Our Children, Polaroid and McDonalds. Recently, he has been preparing for a one person photographic exhibition in New York 2007. He recently completed an assignment for National Geographic in Liberia, which will be published in September. Last year his work graced the cover of U.S News and World Report, which ran eight of his photos for a story on the 50th anniversary of ?Brown vs. Board of Education. Reed has a strong interest in social justice and the effects of war on society. He has covered such news events as the 1982 wars in Central America, the war in Beirut, Lebanon which he covered at various times between1983-1987, the 1986 Haiti coop against "Baby Doc" Duvalier, the 1989 U.S. military action in Panama; and the 1992 Kinshasa, Zaire upheaval Africa. He also covered the 1995 Washington, DC Million Man March, 1997 Mercury Thirteen Women Astronauts, 1999/2000 United State preparations for military action against Iraq for Life Magazine, and 2000 Washington, D. C. Million Mom March against Violence. Reed has published two comprehensive books. "Beirut, City of Regrets," published in 1988, which delves into the ongoing life of residents of Lebanon during the Civil War and "Black in America" published in 1997 (with an introduction by Gordon Parks), which featured 175 photographs taken during a 16-year period, accompanied by text and poetry written by Reed. The book focuses on the lives of African-Americans from the 1970s through the end of the 1990s. Both books were published by W.W. Norton Publishing. Forty-eight photos from his Black in America project were exhibited at the 1993 Perpignan Photojournalism Festival in France. In 1996, Reed became the first living artist to have a major one-person exhibition at the Bruce Museum in Greenwich, Conn. Sixty-three of those photos were exhibited for two months at the Leica Gallery in New York City, afterwards traveling to various venues in the United States. Other exhibitions include :The Black Photographer, Syracuse University (1973), New Jersey Photographs (1973), New Jersey Prisons, Newark Museum of Art (1975),The Whole Sick Crew at Newark-Rutgers University (1975), Magnum World exhibition and catalogue (1997), Black New York Photographers of the 20th Century Exhibition, Schomburg Center for Research in Black Culture (1999), Indivisible (2000), Reflections in Black, and A History of Black Photographers 1840 to the Present at the Smithsonian Museum in Washington, D. C. (2000). Reed has lectured and taught extensively at venues such as the Maine Photographic Workshop, Wilson Hicks Symposium at Miami University in Florida, Southeastern Museum of Photography at Daytona in Florida, Smithsonian Institution Washington, D. C., San Francisco State University, Harvard University, Boston Institute of Art, Academy of fine Art in San Francisco, University of Texas in Austin, Columbia University, Empire State College in New York, New York University, and the International Center of Photography in New York. Reed has taught a special photojournalism workshop for the United States Department of Defense for the past eleven years. Reed has also worked extensively in the film industry, doing still photography work on such films as: "The Five Heartbeats", "Poetic Justice", "Higher Learning", "Kansas City" (Special Still Photographic collaboration with director Robert Altman), "Clockers" (special photography for Premiere Magazine layout)," Rosewood, Ghosts of Mississippi", "The Jackal", "One True Thing", "Belly", "200 Cigarettes", "Shaft Returns", "A Beautiful Mind"," 8 Mile", "Two Weeks Notice", "2 Fast", "2 Furious, and the Missing". Reed is a member of the Society of Motion Picture Still Photographers (SMPSP). In Academy Award Winning short documentary,"Mighty Times, the Children's March", Reed's photographs recreating moments and the spirit from the civil right movement in Alabama were considered an important part of the film producer and director. He is currently directing a documentary sponsored by the Disney Film company and produced by Daniel Ostroff. "Getting Out" a 1992 documentary on Detroit gangs was directed and filmed by Reed for Channel 12 of TV Tokyo. It was exhibited at the 1993 New York Film Festival, and honored by the 1996 Black Filmmakers Hall of Fame International Independent Film and Video Competition in the documentary category. His photographic essays on the effects of poverty were the emotional core for the 1989 NBC hour film documentary, "America's Children, Poorest in the Land of Plenty," narrated by Maya Angelou. His photographs from the John Singleton film, "Poetic Justice," were used to illustrate a Dell Publishing book on the movie. Reed's photographs from the film Rosewood were prominently featured in the 1996 book film companion, "Rosewood, Like Judgment Day." He is a member of International Alliance of Theatrical Stage Employees, Moving Picture Technicians, Artists and Allied Crafts of the United States and Canada, Local 600.